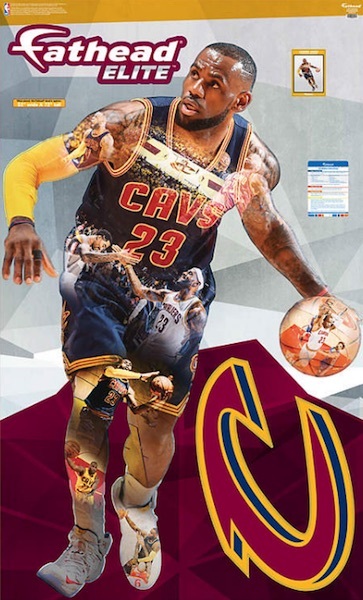 Profile2016 Fathead Elite NBA wall decals put a limited spin on the popular poster/sticker hybrid. Each of the unique creations carry a print run of just 200 copies and, once they sell out, the design will never be issued again. 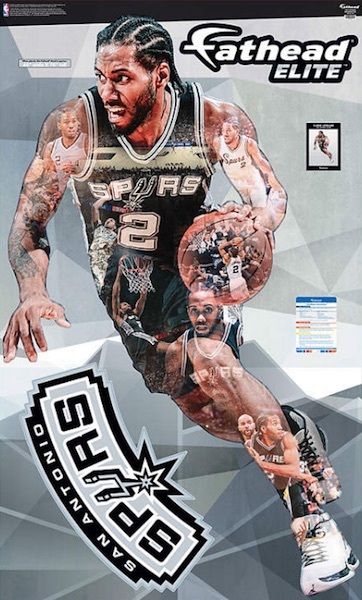 The first group of 2016 Fathead Elite NBA decals highlights the biggest names in the NBA. Younger stars like Steph Curry, Kevin Durant, James Harden and Kawhi Leonard, are joined by seasoned vets LeBron James and Dwyane Wade. In addition to the larger player decal that is composed of several smaller images inside of a main shot of each star, all Fathead Elites come with a team logo decal and a brand logo decal. 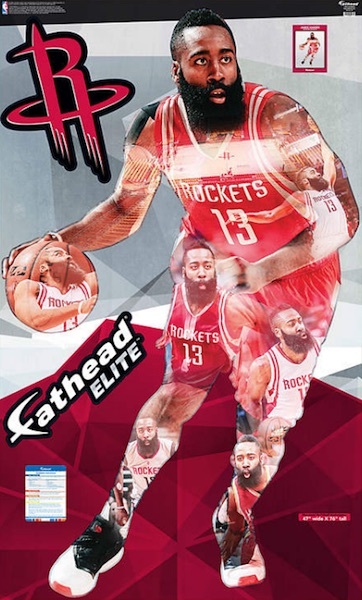 While the retail price tag of $200 doubles the normal decal prices, 2016 Fathead Elite NBA offers some extra features beyond the unique image. Every one of the limited clings includes a certificate of authenticity that verifies it as one of the exclusive creations. Each decal is also individually numbered out of 200. 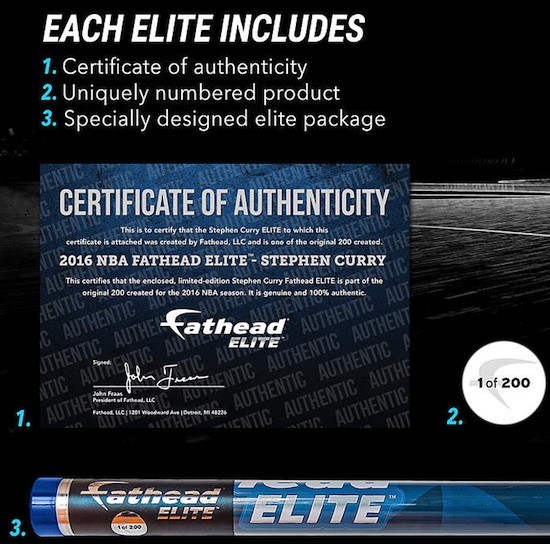 In addition, every Fathead Elite is issued in premium packaging. 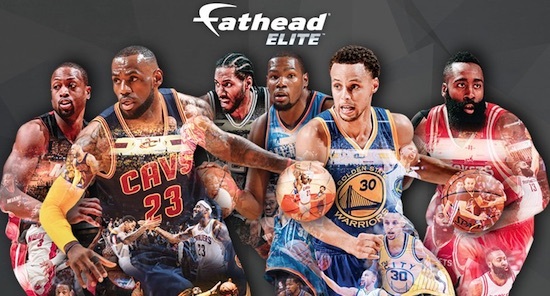 See a detailed snapshot of the features below and check out all the players and their 2016 Fathead Elite NBA decals using the tab above. 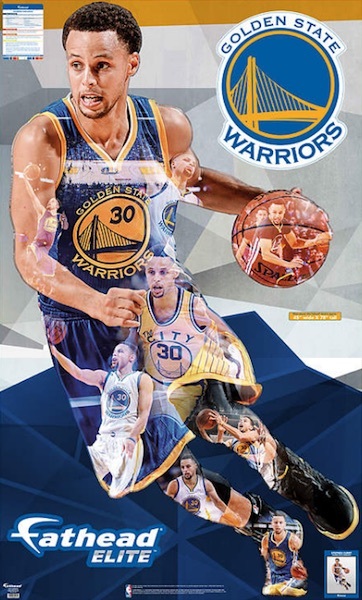 STEPH STEPHEN CURRY FATHEAD HERO PACK - 52 inches GOLDEN STATE WARRIORS - NBA ! 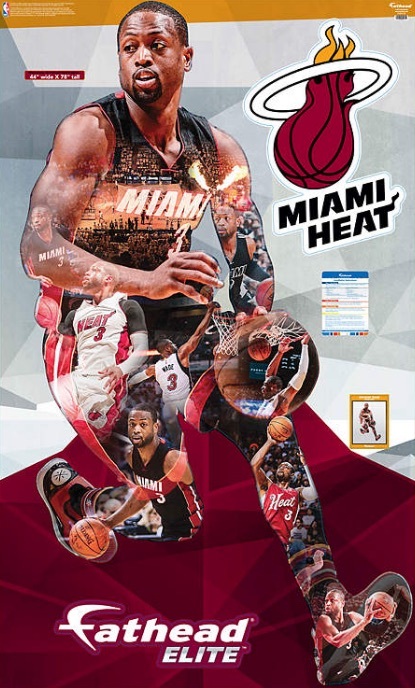 NBA fathead poster C.J. McCollum Portland Trailblazers LAST ONE!!! 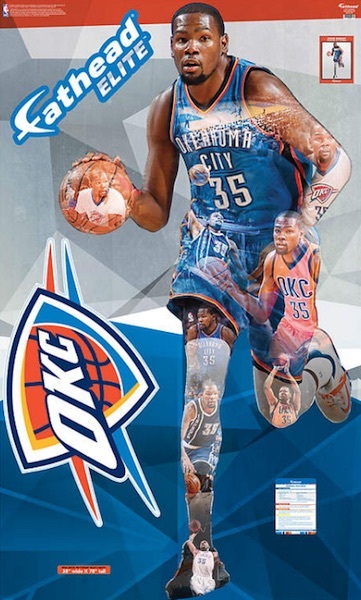 Click on the images or listings to shop on Fathead.